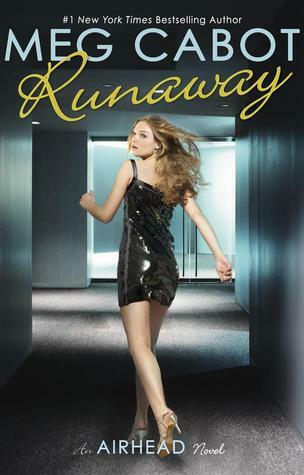 From Goodreads: Emerson Watts is on the run: from school, from work, from her family, from her friends, from herself. From Goodreads: A fiercely individualist Goth girl wakes up to discover that the whole world has gone Goth and she's actually -- gag -- popular. You know, I always thought I told you everything, but there are some things I should have said but never did. I should have told you about the time I lost your new sunglasses. I know you really liked them. I should have apologized the time I ruined your brand-new skirt, the one with the beading. I should have apologized for a lot of stuff. I’m sorry. I’m sorry for everything. It's been seventy five days. Amy's sick of her parents suddenly taking an interest in her, and she's really sick of people asking her about Julia. Julia's gone, and Amy doesn't want to talk about it. No one knew Julia like she did. No one gets what life is without her. Amy's shrink thinks she should keep a journal but instead, Amy starts writing letters to Julia. As she writes letter after letter, she begins to realize that the past holds its own secrets--and that the present deserves a chance. Runaway and Swapped by a Kiss are both brilliant. I hope you enjoy them as much as I did! I'm reading Swapped at the moment (yay!) and I'll hopefully get around to Runaway some day. I actually read Oh My Goth quote a while back and though I wasn't crazy about it, I did like the virtual reality idea a *lot*. I want to start that Meg Cabot series one day. I've heard it's amazing! Some great books you got there. Hope you enjoy them! Oh My Goth is on my list to read! I adore Gena Showalter! Love Meg Cabot. I read Airhead and have being Nikki on my TBR shelf. Oh My Goth looks very interesting and this is a new title for me. I will have to check it out. The premise of Oh My Goth sounds humorous and fun. Enjoy! Those are some fantastic books! Swapped by a kiss sounds really good. 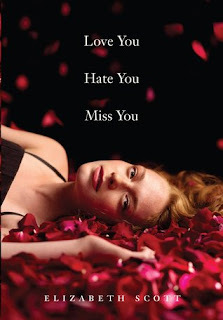 Love the discription for Love You Hate You Miss You. Heres mine if your interested, I think a made off just as good as you!